If I complete a Stack Overflow Careers CV how much is visible to other people? For example, if I filled out my work history how much of that is available to other users? Can I choose to only reveal such information to potential employers I am interested in talking to? 'Make Public / Private' determines whether your CV is able to be seen by other users and whether a custom URL is associated with it. 'Block / Allow Search Engines' determines whether your CV can be indexed by search engines. 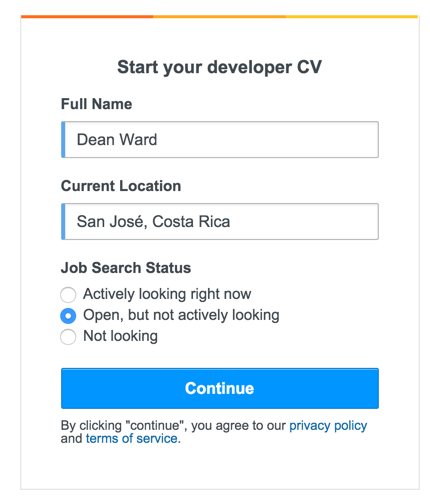 The last section controls whether your CV is visible to employers that use our Candidate Search product. Looking for a job means that your CV will be prioritised in search results that your CV matches. Employers can send messages to you. Not looking, but open to being contacted means that your CV will appear in search results that your CV matches. Employers can send messages to you. Block all messages and matches means that you will not appear in results and cannot be messaged by employers. What information of my profile would be revealed if I submit for a job through Stack Overflow? How to hide my CV profile from being indexed by Search Engines, but still can be accessed using public URL? 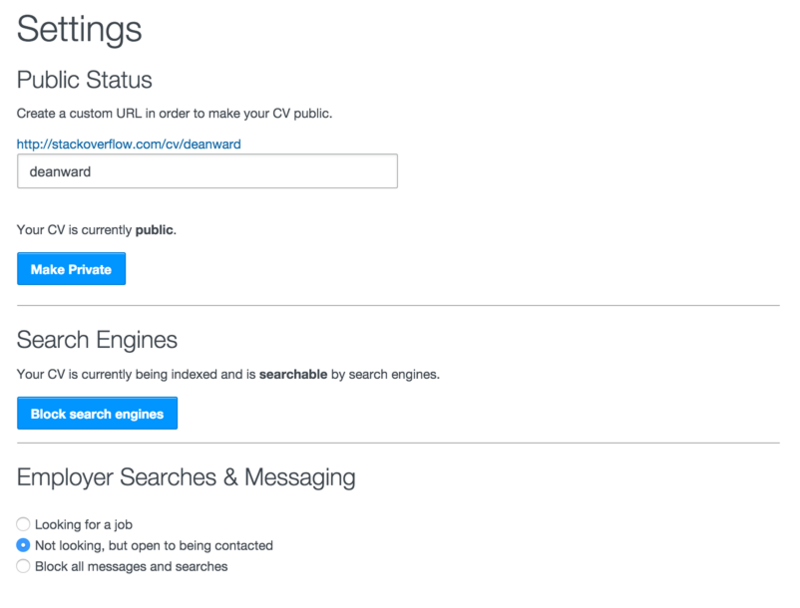 How do the privacy settings work in Stack Overflow Careers?